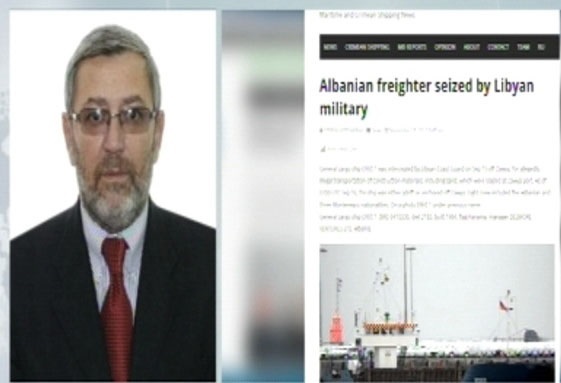 The Ambassador of Albania in Egypt Eduard Sulo reacted regarding the ban on an Albanian ship in Libya. Contacted by "News 24", Sulo says that five Albanian sailors are still aboard the ENVI ship in a port west of Tripoli, while assured they are very in good conditions. Among other things, he stressed that he has asked the Libyan authorities to contact Albanian sailors, as they do not have phones with them. "I am in contact with the Libyan Foreign Ministry. 5 Albanian sailors are still aboard the ENVI ship 1. Libyan authorities assured me that the sailors are in good conditions. The sailors are safe at a port west of Tripoli. I did not personally communicate with thr Albanian sailors as they did not have phones with them. I have asked the authorities to communicate with them. The ship is being investigated at the port near Tripoli," the ambassador said.